For all those who love the experience of visiting a spa for some much needed pampering, you know how important it is to have the best quality, specialist products and treatments. For one entrepreneur in South Africa, Shantelle Booysen, founder of Elim Spa Products, she saw this as an opportunity to build a successful global business creating world class products for the spa industry. LoA found out more from the enterprising Shantelle Booysen this month. 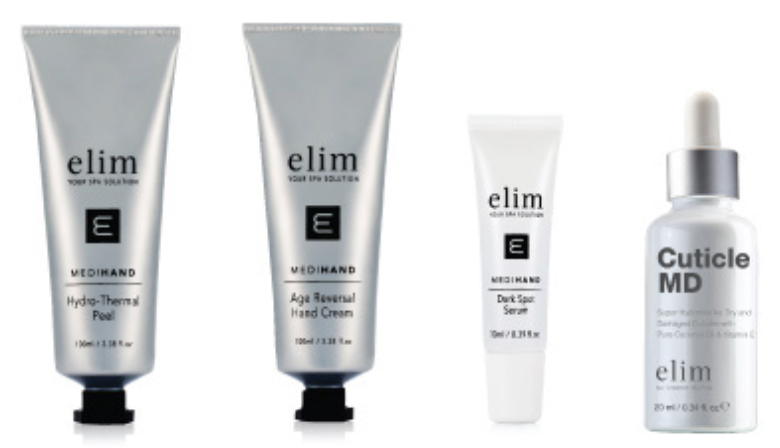 Elim Spa Products was founded in 2004 by Shantelle Booysen, sole owner of the CC. The Company focused on the development of a unique Pedicure Model, complimented by a full range of Professional and Retail Products. It traded informally until registration in 2010. The brand started with 3 products and has grown to 37 individual products supplying SA and exporting.Today we have a small manufacturing plant, a packaging area and we service the Hotel and Private Label industry. I developed a product because I needed a solution to my own problem. This developed into a business. I wanted a premium pedicure. I had the desire for a luxurious spa treatment and was looking for products that offered facial grade ingredients for feet. It was nowhere to be found and this inspired me to learn a little about Chemistry and develop the first product. My first client was Camelot Spa Group, at the time the biggest spa group in South Africa, and from this initial market need, more products followed. We provide a superior grade Pedicure with results in mind. At Elim we see innovation as a solution to a problem rather than just doing something new. If there is no solution to an existing problem, we don't develop. Our hand range for instance targets Gel-users in salon that use UV lamps and we developed the first range with UV blockers. Apart from immaculate products, we deliver outstanding service and have been known as South Africa's most trusted Pedicure brand for over a decade. They are the core of this company. We have 2 reps in Johannesburg and 2 in Cape Town who go out and excite people daily as if it was the first time they are telling the Elim story. Lizette and Jessica are our International staff and they manage our distributors globally. This is a function that requires intimate friendships rather than just business skills and they are both extremely lovable girls. I simply steer the ship and see the future. My husband Ben takes care of our logistics and makes sure the stock arrives where it should be at the right time. I started my career in the Academic Sector working for the University of Stellenbosch, Varisty College and later International Colleges Group. I have always had a business as long as I can remember. I remember asking my mom to drive me to Wellington so I could buy towels from a Factory and resell them in the rural areas where people didn't have access to factory shops. I had a clothing business importing clothes from Bangkok when I was younger and eventually started importing leather. This funded my dream when I started Elim 14 years ago. My father is an entrepreneur living in the USA. He started his first business at the age of 16 and today runs a successful corporation in Florida. I had many people on my journey and i believe they made me the entrepreneur I am today, giving advice, guiding and inspiring me. Elim continues to look for global business and building the brand outside the borders of South Africa. This means exporting and bringing foreign exchange to South Africa which is important for our country. We recently launched Elim Natura, a natural wing of our business that concentrates on more natural formulas. We have also started an in-house company that we share 50% with our staff, this empowers them and it teaches them skills outside their comfort zones. Priva cosmetics focuses on Private Label branding and Hotel amenities. Elim plans to set up a packaging plant in the future to pack and distribute products from Cape Town. We have also set up a small informal company in Du Noon and teach people to manufacture our stands and Point of Sale items. Elim takes no share in this business and the profits go to the staff. I love seeing people grow. We had a student working for us 3 years ago. She had leukaemia and dropped out of Varsity. We gave her a computer, a minimum wage and Photoshop. We applied lots of pressure to produce graphics for us. She sank, she cried, she gave up and then she started flying. Today she is a self taught freelance graphic designer and makes a living from it. A young retrenched girl walked into my office one public holiday and said she would work for free if I gave her an opportunity. I couldn't let her work for free so I gave her an admin job. 5 years later and she is our International Sales Manager who travels globally and manages all our International training. She knew nothing about training of the beauty industry but she had one amazing attitude. A year ago I met a mom who couldn't sit at home anymore, we gave her the same admin job that was now vacant, within 4 months she became our bookkeeper - Self Taught. I have more of these stories, but this is what inspires me. If you live by the praise of men, you will die by their criticism. The best advice is to get a plan, stick to the same plan, keep working to the same plan, eventually it WILL work, and don't look sideways. Keep looking forward, don't worry about what the competition is doing, focus on your ideals and why you do what you do.